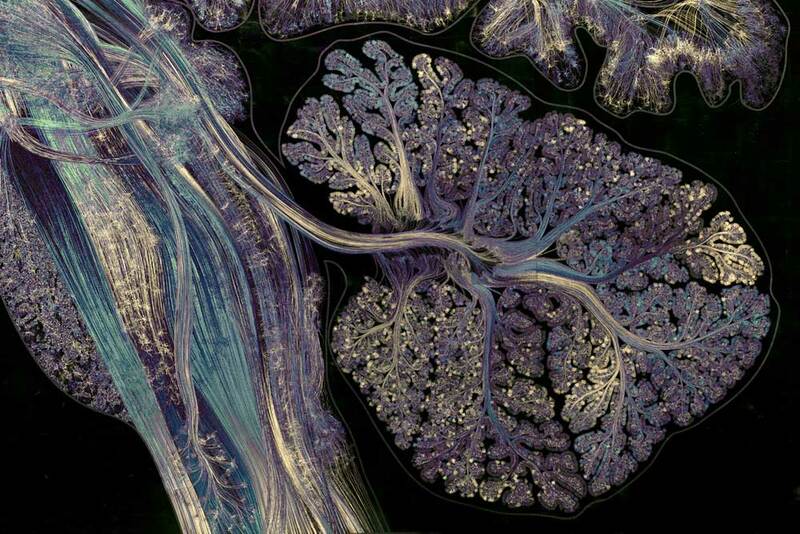 “Self Reflected” by American artist/neuroscientist Greg Dunn and Dr Brian Edwards is a stunning series of gold leaf prints of the human brain. 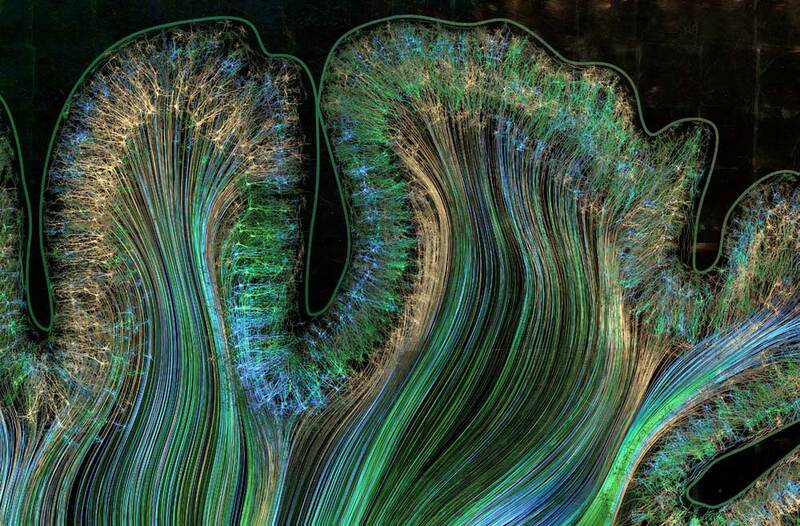 Bringing new perspective to the mind, the work bridges the connection between the macroscopic brain and the behavior of neurons through a revolutionary technique called reflective microetching. 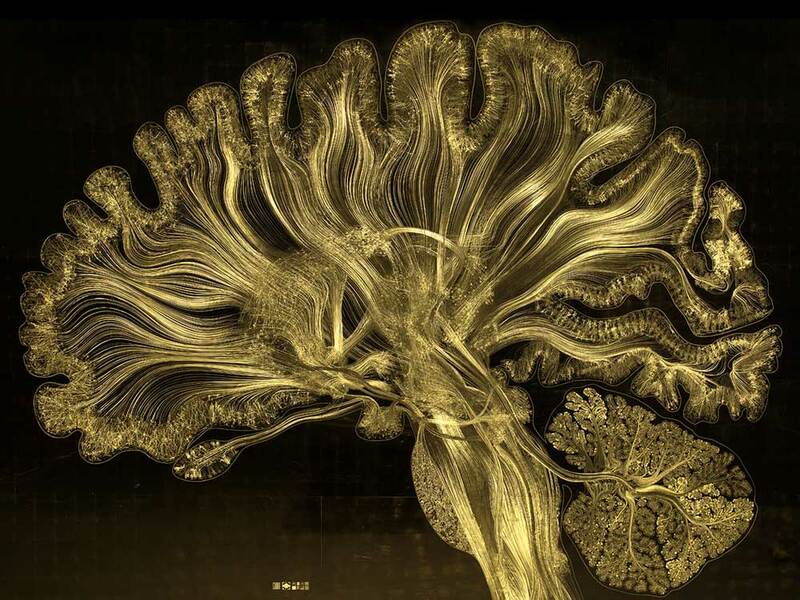 Gilded with 1,750 sheets of gold leaf, slices of the brain are magnified and the natural flow of neural activity revealed in the play of light across the rich and elaborate surface. 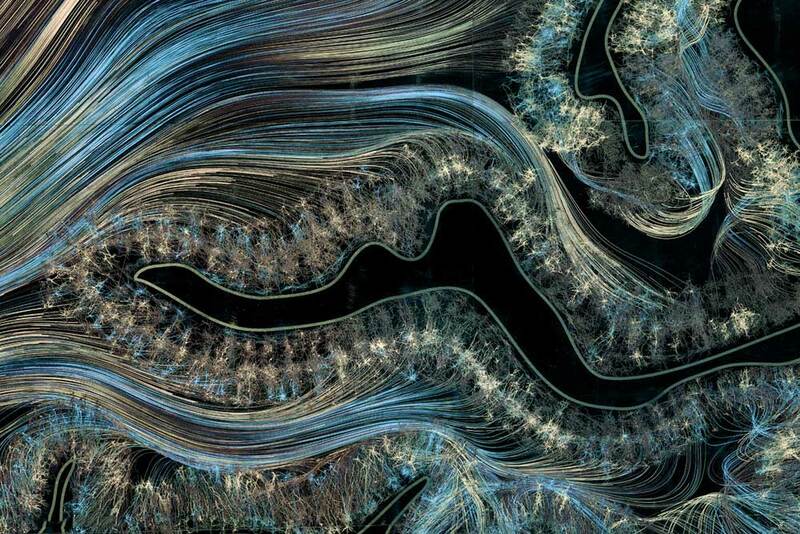 Made with a combination of hand drawing, neuroscience data, algorithmic simulation of neural circuitry and photolithography, the project represent a seamless and unique marriage of art and science.